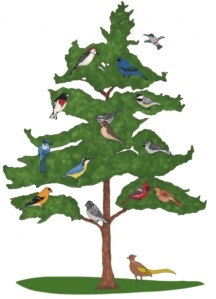 Consider a seasonal gift to the Plymouth Memory Tree to help fellow townies. The Plymouth Memory Tree is seeking a person to serve on its Board of Directors. The Memory Tree is a non-profit organization which provides financial assistance to residents of Plymouth, Vermont who are in need. Meetings are generally held when an application for assistance is received, usually, no more than six times a year. Those interested should submit their curriculum vitae to Robert Fishman (rlf254@gmail.com) or to PO Box 4, Plymouth, VT 05056. An applicant need not be a permanent resident of Plymouth. This entry was posted in Community News and tagged Plymouth Memory Tree. Bookmark the permalink.